UBC has an exceptionally beautiful campus right by the western fringes of Vancouver and I decided to tour it by foot since I had some free time. I indeed had a wonderful time, which included me tripping on construction, getting hit by a paper airplane, and getting lost half a dozen times. The only bad part of my trip was not being able to find anything useful in the clearance section at the on-campus Staples. 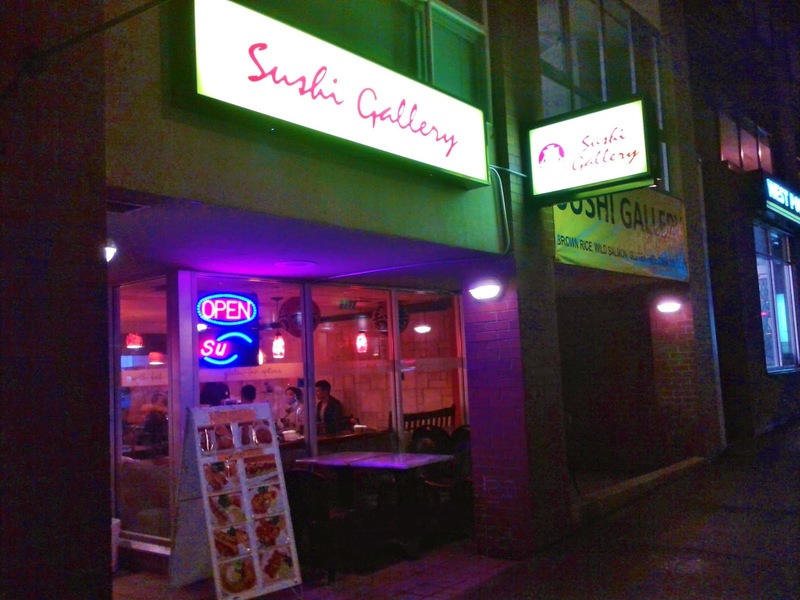 A short distance away from UBC is a very wallet-friendly sushi restaurant by the name of Sushi Gallery, which has some of the lowest prices for sushi that I have encountered in the Lower Mainland. Inside is a medium-sized dining area with straw chairs, wooden tables and casual decor. There are a variety of gluten-free and vegetarian options on the menu, including an assortment of 50-cent vegetarian nigiri. I'm obviously not a vegetarian, but at the same time, there was no way I could resist nigiri that was 50 cents a piece. The complimentary Miso Soup was self-serve and you are allowed as many free refills as you want. I chose the regular miso soup instead of the gluten-free one, but unfortunately, it was a bit watery and lacking in tofu. After reading several blog posts about Sushi Gallery, it appears that I was just unlucky because everyone else managed to scoop up some tofu. 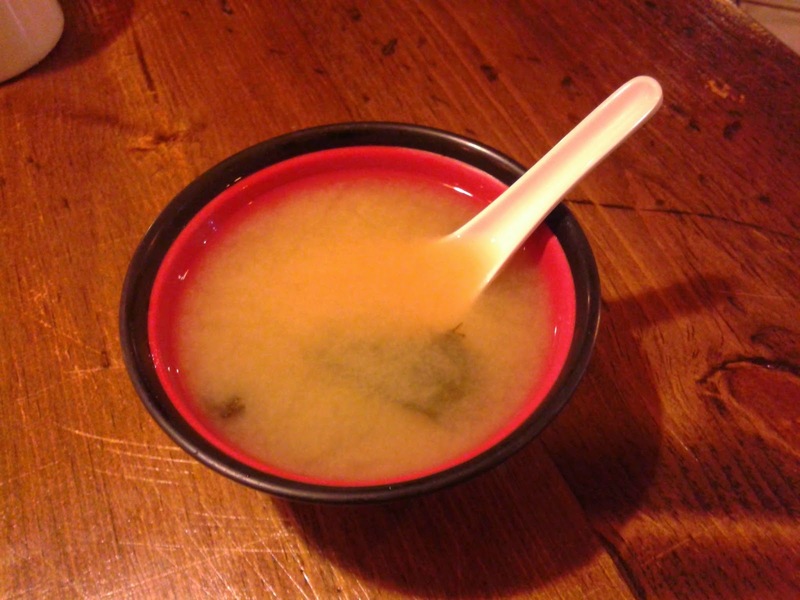 Despite this, the Miso Soup had a good balance of flavours and contained an abundance of seaweed. 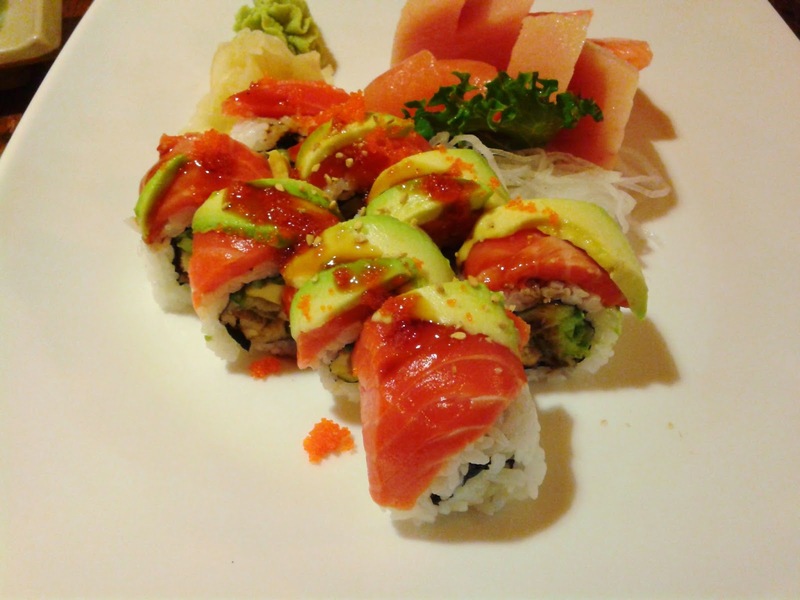 The Wild Unagi Roll was elegantly constructed and consisted of eel tempura, wild salmon, avocado and masago. The wild salmon was fresh and had a smooth sheen and I enjoyed the faint crispiness from the tempura batter. There wasn't very much unagi in the roll and the sushi rice needed more vinegar. However, the sweetness from the avocado gracefully harmonized the flavours of the other ingredients. The Mini Sashimi came with a much more generous portion than I had expected for $3.95. 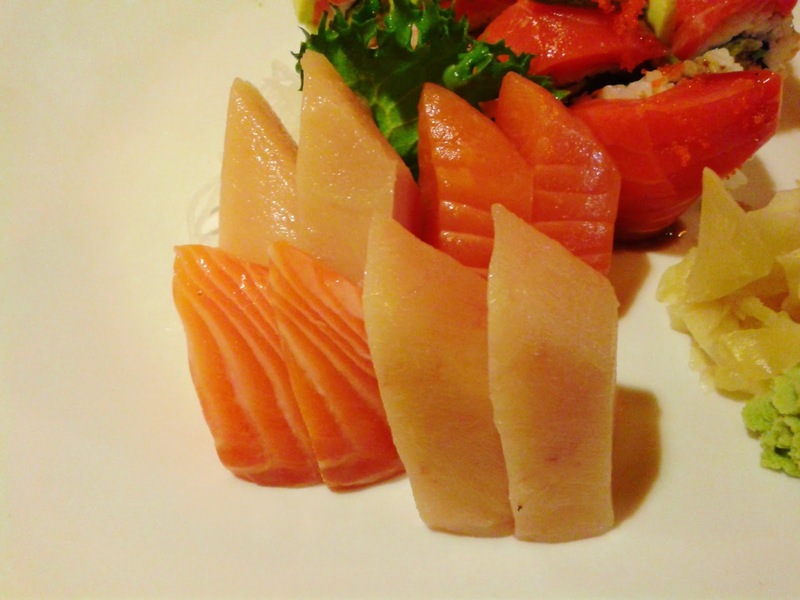 The Salmon Sashimi was cut thickly and exhibited some tough sections. It could have more flavour to it. The Tuna Sashimi was unfortunately served frozen and the interior was just like a popsicle. I had to let it sit on the side and unpopsiclize itself, a process which took half an hour. The Seared Tuna Nigiri had a slight smoky flavour and retained a good amount of moisture. The BBQ Eel Nigiri was quite large and exhibited a softer-than-standard texture. The presentation was a bit sloppy with sauce overflowing everywhere, but it had a nice sweet and savoury flavour. The Toro Nigiri had a mild, creamy flavour and was delightably soft and smooth. From the array of 50-cent vegetarian nigiri, I chose the Enoki Mushroom Nigiri and the Seaweed Salad Nigiri. It didn't feel like enoki mushrooms and sushi rice were a good pairing. However, the Seaweed Salad Nigiri, although not the most neatly constructed, was quite decent in terms of taste. The rice was not packed too tightly, which made it easier to chew. 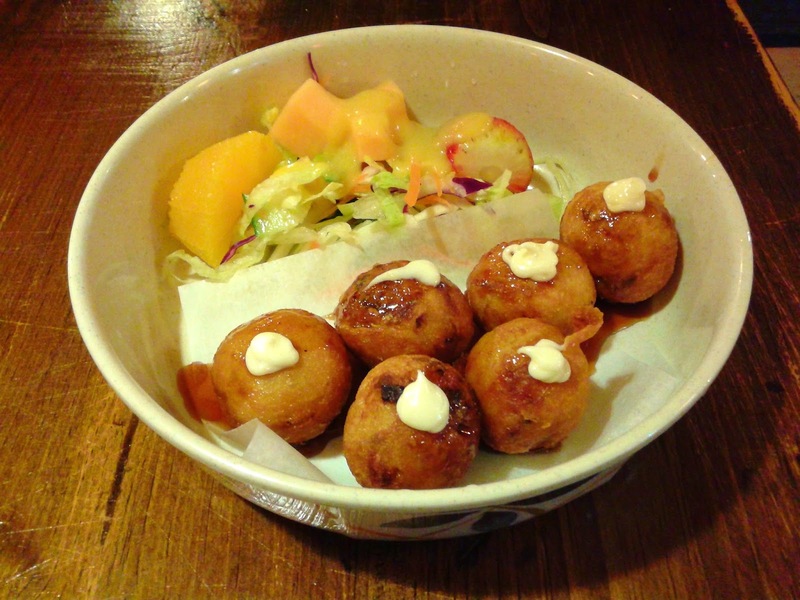 The Takoyaki was served piping hot and was accompanied by a fruit and vegetable salad dressed with mango sauce and Japanese salad dressing. The Takoyaki were quite large but there didn't seem to be a lot of octopus, so it tasted overly pillowy and floury. There is a noticeable hint of ginger in the Takoyaki and the exterior shell had a light crispiness and was well done. The restaurant remained half full for the duration of my visit, which was at standard dinner time on a Tuesday evening. There were two servers on the scene, and both of them were quite friendly. 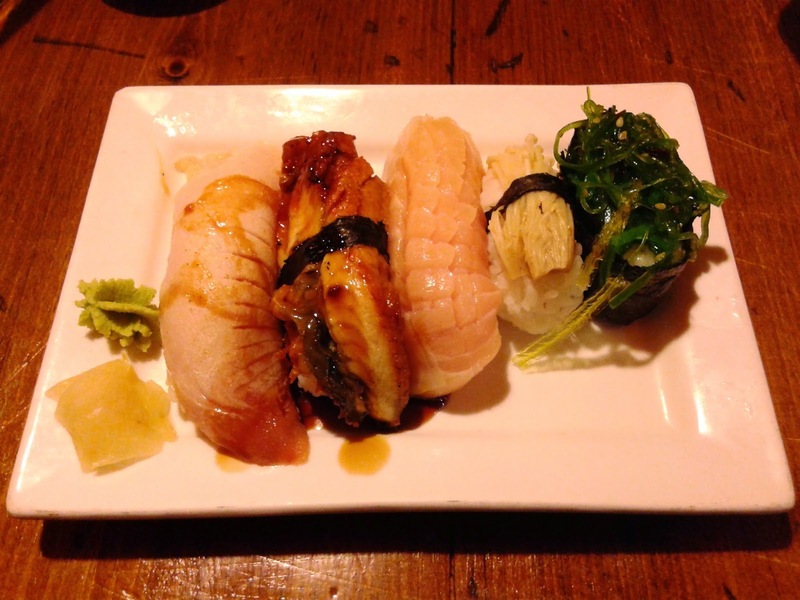 The rolls and nigiri appear to be executed better and the fresh wild salmon was a delight. Unfortunately, I was so full that it became physically impossible for me to take advantage of the unlimited miso soup refills. What ensued was another episode of Raymond's Hibernating-on-the-Bus Adventures.